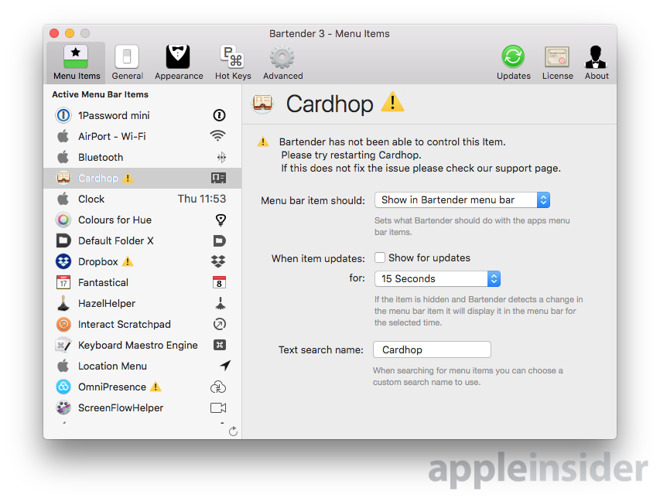 Bartender, by Surtees Studios, can make your Mac Menubar work harder for you in with a cleaner presentation —but not all apps play nice. That's one extreme example of what Bartender can do —but it can go farther. It can take away just about every menubar app you've got. 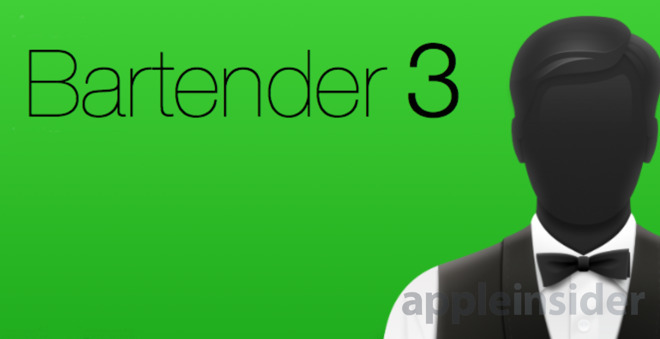 That's fine if you never use the apps but where Bartender 3 comes in is when you do use them and you do want them —but just not all the time. 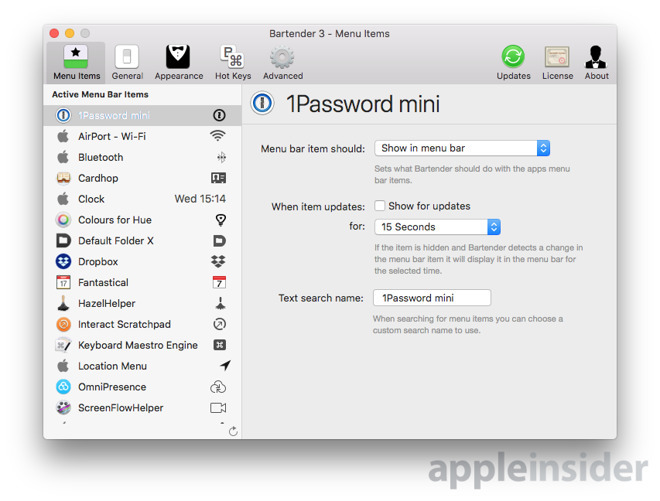 Open Bartender 3 and it lists every menubar app you've got. Go through them all and decide what you want to happen. 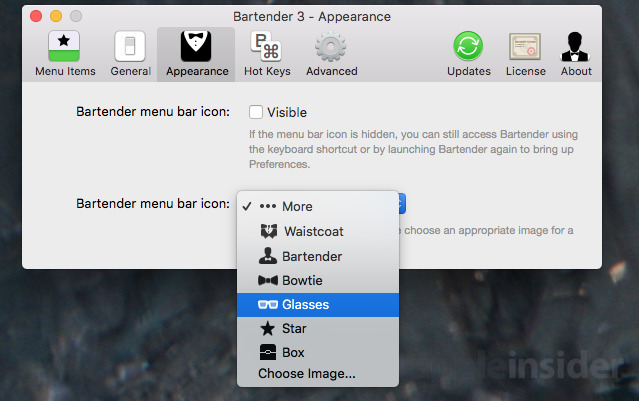 The icon can stay in the menubar, it can always be hidden —or it can be moved to Bartender's own menu bar.